teaming with beautiful metallics in kitchens and although I’d like to share, it seems that I can never get into these homes at the right time to photograph them. 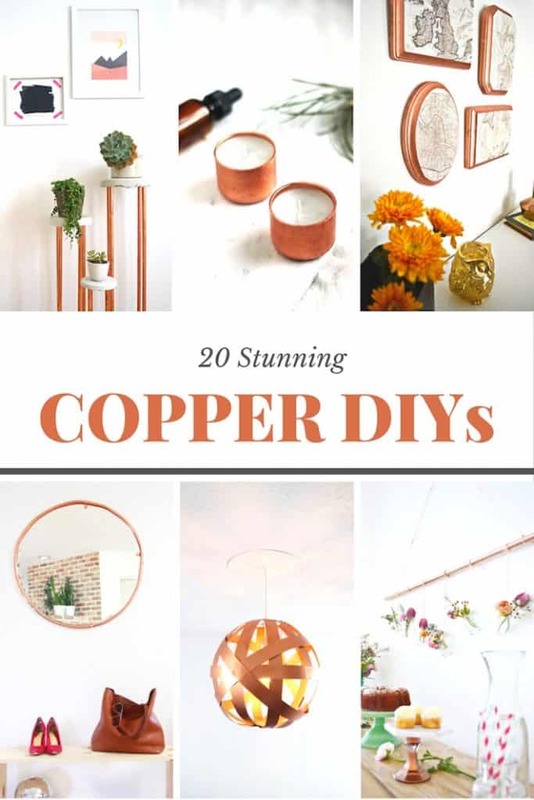 In our home I don’t have a modern COPPER PENDANT LIGHT that perhaps if I was starting over I would install. Or one of those GOLD PENDANT LIGHTS with the cage…maybe some day. I have objects that to me are not just objects, but objects of art! 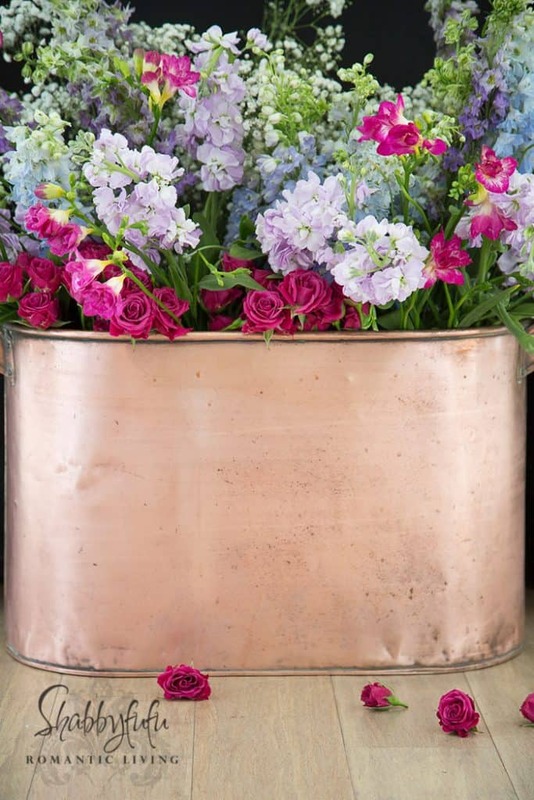 Like the huge copper bucket that has made an appearance here before and I just shined up to use for the fall season. 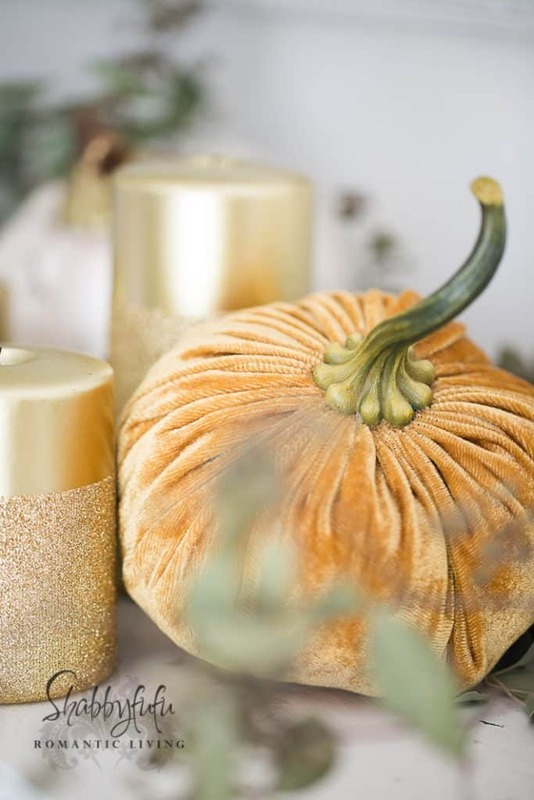 I use this beauty for firewood by the mantel, to store things in, and if I can ever find real pumpkins here I’ll be filling it with them I’m sure. 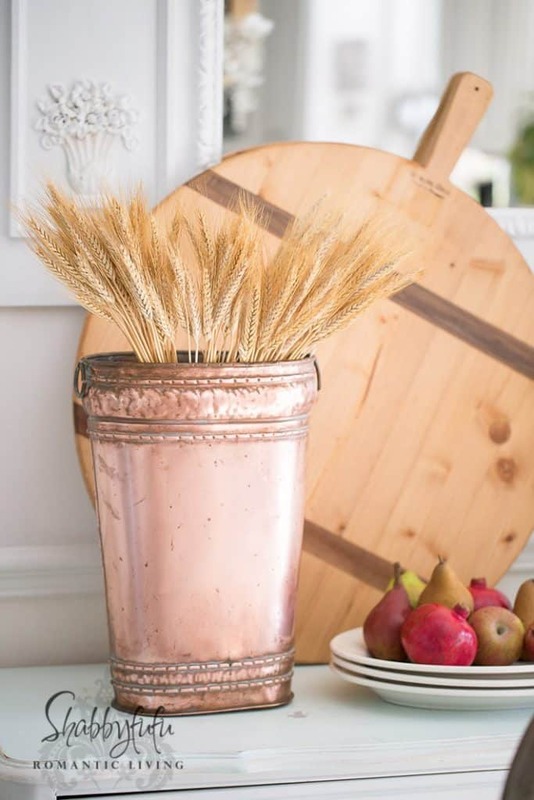 A sneak peek at a post coming soon…and I filled this vintage copper bucket with wheat. 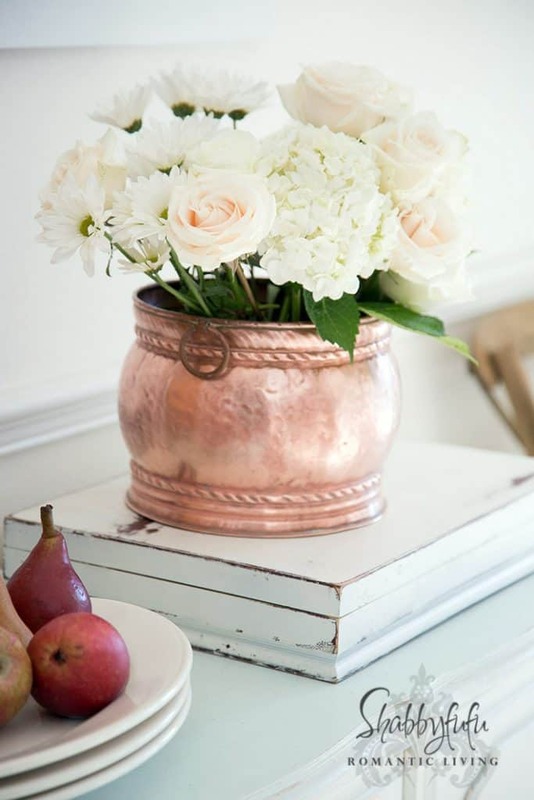 I love the patina that older copper takes on, and if I look for copper when out shopping I prefer hammered finishes. The patina tends to collect in the crevices of hammered copper and gives it that old world look over time. 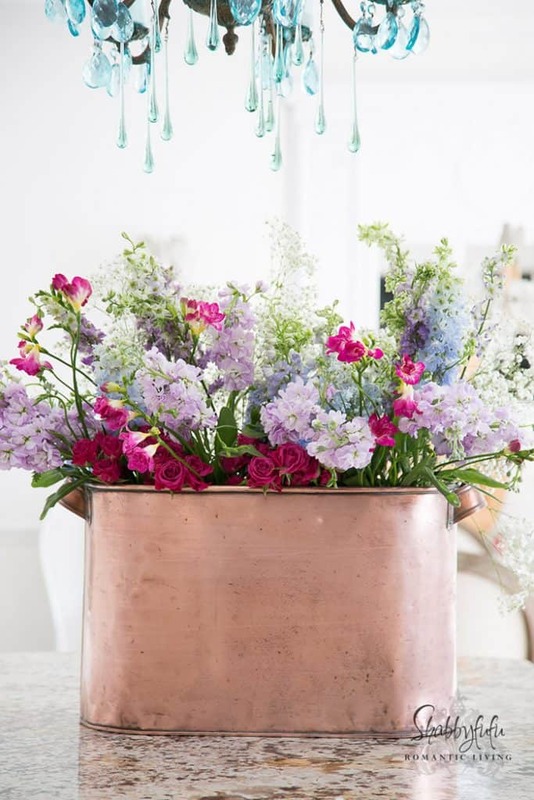 This copper pot is also a vintage one and is the perfect size for filling with flowers. 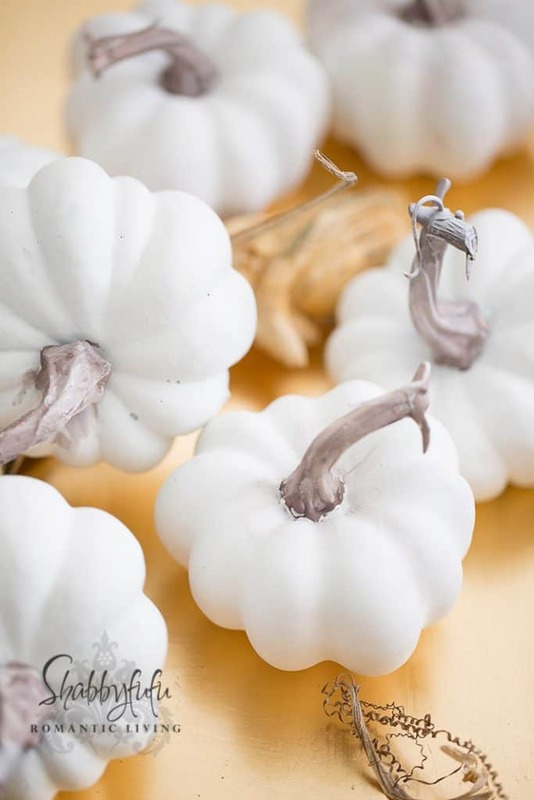 I use it often in the fall when SETTING A TABLE and fill it with flowers. Just cut the stems short when you have a more squat sized container and in this pot I filled it with soaked floral foam to hold the stems in my centerpiece and keep them hydrated. 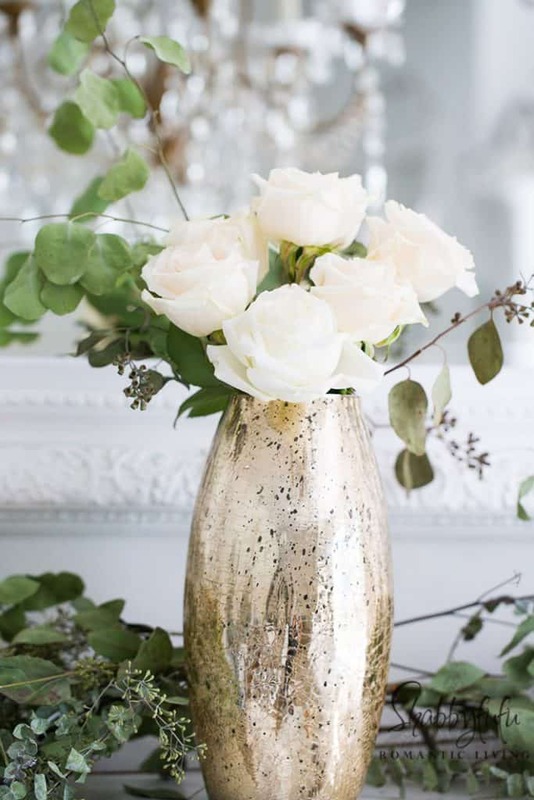 GOLD IN HOME DECORATION adds warmth as well as glamour and lately I’m in love with adding gold. I just love metallics, especially copper with patina. Mmm…so beautiful!